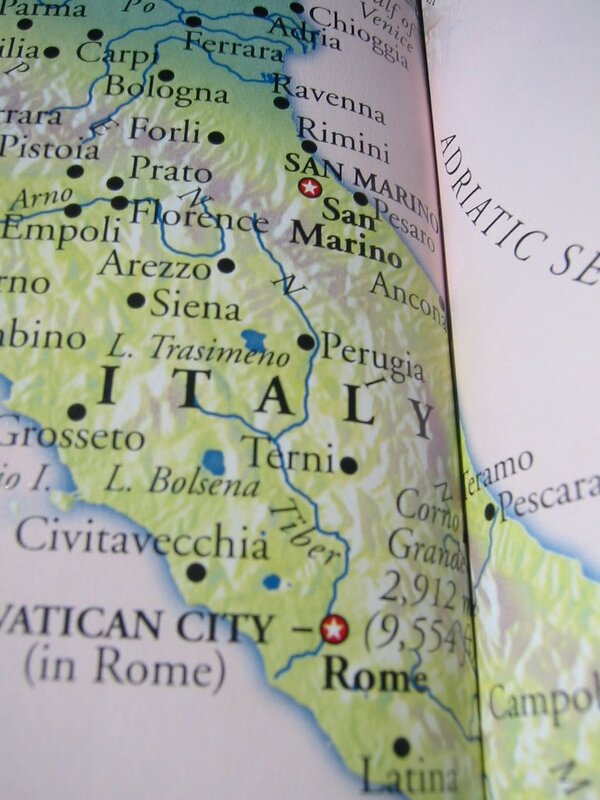 I just wanted to let you all know that tomorrow I'll be off to Italy for a couple weeks to attend a wedding. I'm not sure what kind of Internet access I'll have but I promise pictures of fabulous Italian desserts when I get back. When I was looking through my pantry the other day, I saw a big bag of raisins that were just asking to be made into something yummy. 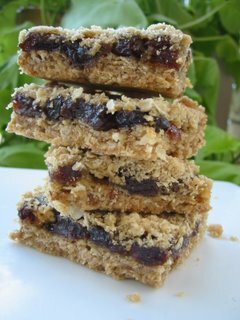 I looked at the oats and they were whispering the same thing so I grabbed the Christmas Cookies magazine I've had since 2000 and immediately flipped to the Fruit-Filled Oatmeal Bars recipe. This is the type of recipe where there are 4 different filling variations and one happened to be raisin so I got to work. The recipe itself if not hard to prepare. First you make a oat crumble and the filling is made on the stove. Two changes that I made was to use orange juice instead of water in the filling and I added a dash of cinnamon to the oat mixture. This added some extra flavour to the finished bar that was very pleasing. The bar was just sweet enough with a good balance of oats to raisins. This is a recipe I'll always have on standby - It's perfect when you want something quick without having to spend a lot of time in the kitchen to prepare it. Update: The other recipe variations have been added. Just click the recipe link below. 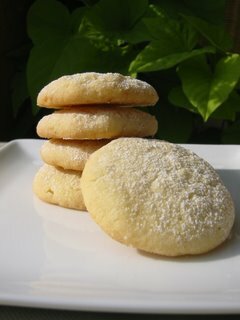 Looking for a simple little tea cookie? Lemon coconut crisps would be welcome on any cookie tray - they're unassuming and simple with the light flavour of lemon. 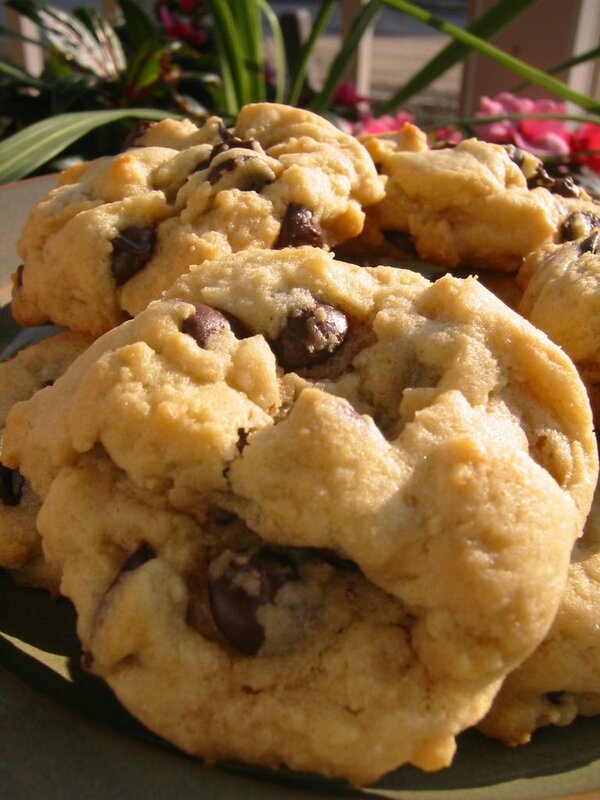 The texture is crispier than most cookies but they are not hard, just flaky. Most adults would like this cookie unless they absolutely abhor lemon and coconut but kids are a toss-up - some liked these cookies and some didn't. You just never know. One ingredient in these cookies that is not always present is cream of tartar which acts as a stabilizer and adds volume to baked goods. (At least I think so.) It is easily obtained at bulk food stores so you need not buy a lot. It is also used to make icing for cakes and occurs naturally during the fermentation of grape juice into wine and crystallizes in the wine casks. So with the cooler weather this morning here in Ontario, I think I'll make a cup of tea, grab a cookie and watch as my backyard transforms from a big dirt pile into a green grassy oasis. After the last week of hot hot heat, it has cooled down enough to actually think of turning on the oven. Today is absolutely beautiful - blue skies, light breeze and sunshine. I had a request for peanut butter cookies and I wanted to try a recipe that was completely new. The ones I've tried before are good enough but not great enough to not have a look around. Out came Great Canadian Cookies and I flipped and flipped until I ended up at Chewy Peanut Butter Chocolate Chip cookies. It was submitted from Kanata, Ontario and the little blurb said, "These are the best cookies anyone has ever tasted." Well that's high praise indeed, so I set out to see if it was true or not. About an hour later they were done and delicious. I'm not joking - the cookies were substantial and did not flatten out at all. The batter was a dream to work with and they kept their shape and tasted great even though I left out some sugar and used natural peanut butter. MiltonMama said these were probably the best peanut butter cookies ever and she would know, Cookie Queen that she is. Not all banana cakes are made equal. 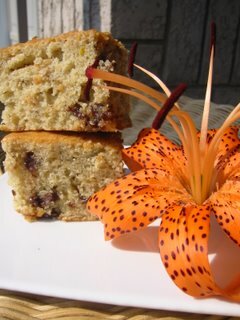 This version from Canadian Living is moist, delicious and could be used for any special occasion. The secret is adding orange rind into the batter. This infuses the cake but does not take away from the banana flavour - it enhances it. Add some chocolate chips to the mix and wow! A great cake for snacking and sharing. You can add the icing as it says in the recipe or just leave it plain with a light dusting of icing sugar. Of course, you can leave out the rind if you wish or add nuts - most add-ins will work in this cake. The recipe makes a lot of cake and it travels well so why not try it for your next picnic or potluck?